this shows a high level of creative imagination and a love for music. Check out a hand photo of his here. 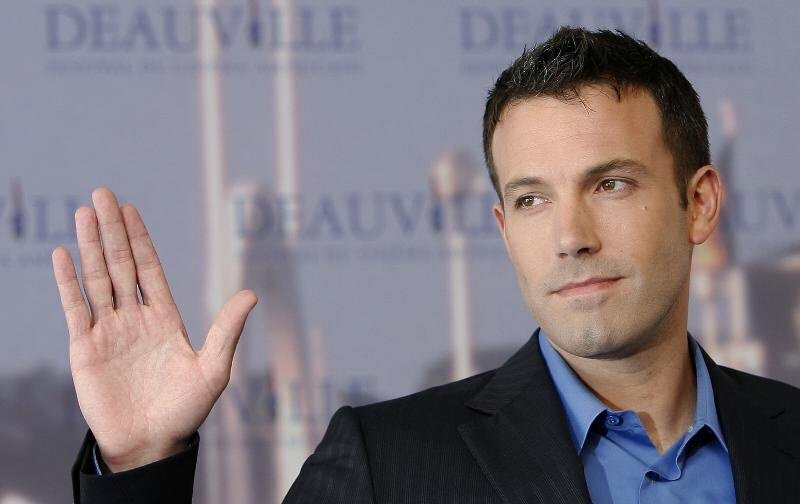 The shape of the fingers show Affleck’s attention to detail and discipline. It is not surprising that the man is directing films. Ben Affleck’s Headline is not as good as his Heartline. The Headline appears uneven, and either starts late or is joined for a bit. This shows that he was cautious and/or too sheltered or dependent in the earlier part of his life, something which he has still not got over completely. 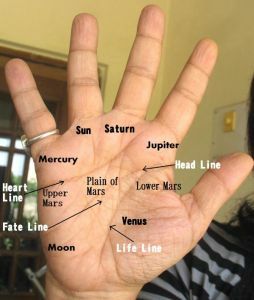 This is compounded by the fact that his Jupiter (index) finger is shorter than normal on both hands although on the right active hand it is not so low-set. This shows the self-esteem problems which he has tried to overcome. While there is no doubt that in terms of self-development, Ben Affleck is progressing, he would still have issues. The uneven Headline would make it harder for him to resolve inner conflicts because it shows unsteadiness of ideas. Right now he is going through one of the most materialistic phases in his life, but his thinking is likely to change. His Heartline shows that he is a person who can become a hundred per cent emotionally engaged with his work and in relationships, and it is probably due to this that he often makes decisions based on his heart rather than his head. His heart tends to think better and more steadily than his head does! Even then there is some evidence of repression of his inner feelings shown in the setting of his Heartline. In relationships, Ben Affleck’s sensitiveness can at times be too much to handle and also he may try too hard to please at times. It is not just emotional sensitiveness but an overall sensitivity to surroundings. All this makes him more vulnerable to being hurt and he may not always express his deepest needs. You might also like to read about other internationally famous actors like Hugh Jackman, Johnny Depp or Tom Cruise or movie stars like Julia Roberts or check out the hand readings of all other Hollywood personalities on this website or check out the hand readings of Music Stars like Justin Beiber or Kurt Cobain and more! You can also click any of the labels below this post to read related posts. Nita, don't you think everyone outgrows their emotional selves, after a certain age? I wonder how a person can be emotional, for eg. after 30 years of age? Or is it that some people continue to be emotional throughout their lives? I think unless you consciously suppress the emotional side it remains with you. External circumstances make you change but ofcourse you are right in the sense that people learn to control their emotions better as they grow older. However suppression is another issue. Nita,like synastry in astrology,did you ever through your readings find that people with similar palm types often end up as couples? Like people show similar attributes in palm reading which could explin the durability of their relationship? Also,can palmistry reveal sexist attitudes? When it comes personality characteristics - couples' hands are widely different, often opposites. If they are too different, it does cause problems. This is from my experience from reading hands of many couples. If you are asking whether one can match couples if one goes by the hand, sure we can because according to the certain principles of compatibility, some type of traits (like extroversion/introversion, just to give one example)should be at approximately similar levels in a couple for a smoother relationship. So yes, one can advise people by a compatibility analysis (which I offer as one of my readings) whether they are suitable to each other or not. One cannot predict the durablity of the relationship because marriage is all about working hard to make it work out and some people try harder and manage to make it through. Also whether a marriage lasts depends a great deal on the society the couple comes from. Palmistry can reveal narrow mindedness, selfishness, inflexibility, conservatism, egoism, but a specific attitude to something (like say to women or a political opinion) cannot be told. hey ,,,can u read the hand of Sylvester Stallone...u can check it out the pics which are given below, his hand is really very odd,i have never seen such type of hand before ! Will check his photos out. Thanks. I am sorry to hear that you are worried even after informing you that the fork is not significant.